Our mission is simple yet powerful: We are collectively focused on providing comprehensive, customized, objective financial planning and wealth management advice. Our advisor team has more than 75 concerted years working to meet the varied and personalized needs of our clients. Our clients span across the globe, throughout industries and across generations, from retirees to high-ranking corporate executives, from hedge fund managers to business owners, licensed professionals and affluent families. Simply put, our clients come first. We systematically plan according to the complexity and uniqueness of each particular situation. We are acutely focused on a process-driven model. Through that discipline we uncover the array of financial needs, goals, and concerns of our clients. We know the questions to ask, life’s transitions to anticipate, and the potential issues to plan for when developing and executing on a financial plan designed to adapt to your evolving needs. We look forward to putting our passion and collective experience to work for you. September 27, 2018 - Kevin Luchetta has been named to the 2018 edition of the Financial Times 401 Top Retirement Advisers. 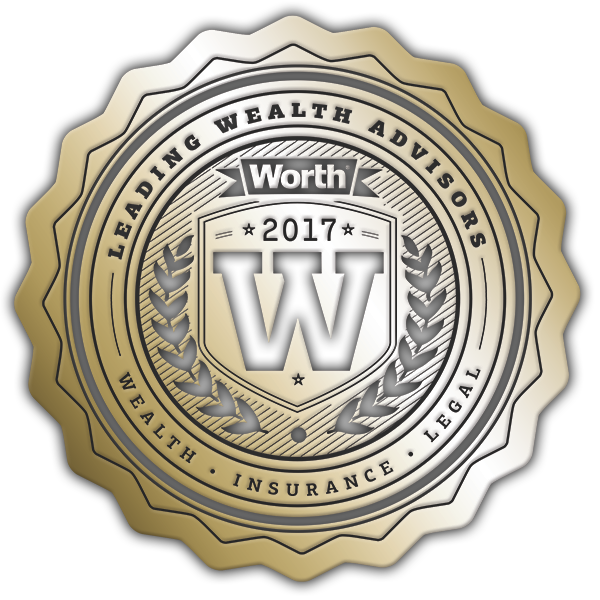 * The list recognizes top financial advisers at national, independent, regional and bank broker-dealers from across the U.S.
View the latest articles written by members of Pioneer Financial for Worth® magazine. James Lynch DiNardo , Kevin Robert Luchetta , Paul Dennis Tortorella and Stephen Andrew Schwartz use Pioneer Financial as a marketing name for doing business as representatives of Northwestern Mutual. Pioneer Financial is not a registered investment adviser, broker-dealer, insurance agency or federal savings bank. Northwestern Mutual is the marketing name for The Northwestern Mutual Life Insurance Company, Milwaukee, WI (NM) (life and disability insurance, annuities, and life insurance with long-term care benefits) and its subsidiaries. James Lynch DiNardo , Kevin Robert Luchetta , Paul Dennis Tortorella and Stephen Andrew Schwartz are Representatives of Northwestern Mutual Wealth Management Company® (NMWMC), Milwaukee, WI (fiduciary and fee-based financial planning services), a subsidiary of NM and limited purpose federal savings bank. All NMWMC products and services are offered only by properly credentialed Representatives who operate from agency offices of NMWMC. James Lynch DiNardo , Kevin Robert Luchetta , Paul Dennis Tortorella and Stephen Andrew Schwartz are Agents of Northwestern Long Term Care Insurance Company, Milwaukee, WI, (long-term care insurance) a subsidiary of NM. James Lynch DiNardo , Kevin Robert Luchetta , Paul Dennis Tortorella and Stephen Andrew Schwartz are Registered Representatives of Northwestern Mutual Investment Services, LLC (NMIS) (securities), a subsidiary of NM, registered investment adviser, broker-dealer and member FINRA (finra.org) and SIPC (sipc.org). James Lynch DiNardo , Kevin Robert Luchetta , Paul Dennis Tortorella and Stephen Andrew Schwartz are Insurance Agents of NM. James Lynch DiNardo , Paul Dennis Tortorella and Stephen Andrew Schwartz are primarily licensed in NY and may be licensed in other states. Kevin Robert Luchetta is primarily licensed in CT and may be licensed in other states.